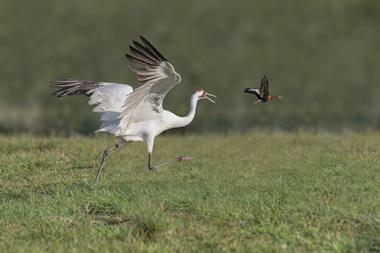 The unique combination of wetland, bayou, prairie, and forest ecosystems in the area around Houston, Texas have given rise to several protected wildlife and natural refuge areas. Beyond the outdoors, several major cities lie close to Houston and an array of art, historical, and science museums in the area provide a host of destinations for culturally oriented trips as well. Here are some of the best road trips and day trips from Houston, Texas. Part of the bustling Dallas-Fort Worth metropolitan area, Dallas is the state’s most important urban center and a regional hub for the South as a whole. Like any big city, Dallas has an impressive skyline and a lot to enjoy in terms of activities, food, and culture. Austin is famous for its local independent music scene and thriving hipster culture. Two of the country’s most famous festivals, Austin City Limits, which is strictly a music festival, and South by Southwest, which celebrates music, innovation, and media, are held here annually. 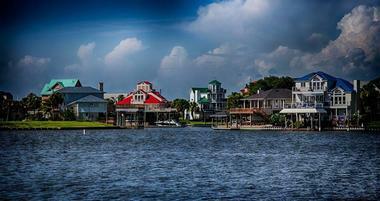 Galveston Island is a 30-mile-long island located to the southeast of Houston in the Gulf of Mexico. The island has several beach parks that run along its shores and are open to the public. Access to the gulf lends itself to a number of activities such as boating, fishing, and water sports. Texas City is a small city located on the southeastern coast of Texas in Galveston County. 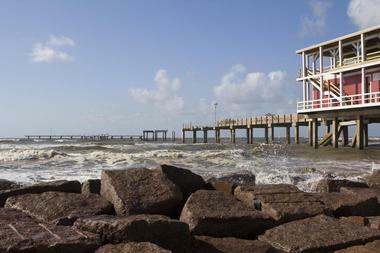 Naturally, it offers an outlet to the Gulf of Mexico, and one of its most famous attractions is the Texas City Dike levee. This dike is the world’s longest man-made pier, which runs for more than five miles and has areas for fishing and picnicking along the water. Texas City also celebrates its rich history with several museums, such as the Texas City Museum, and historic homes, such as the Davison Home and the Engineer’s Cottage, which provide memorials to the first Anglo-American settlements in the region. Port Arthur is another small-sized city sitting along the coast of the Gulf of Mexico. 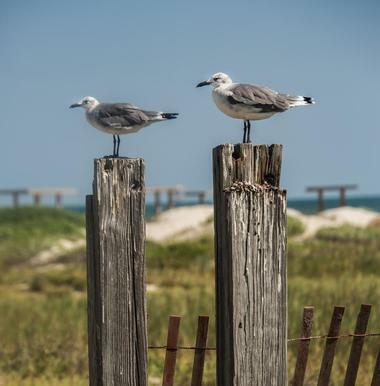 It has more than one Gulf coast beach, all of which provide homes to many species native to the region, including diverse bird, fish, and alligator populations. Port Arthur’s outdoor areas offer opportunities for hiking, cycling, fishing, watersports, and even swamp and boat tours. 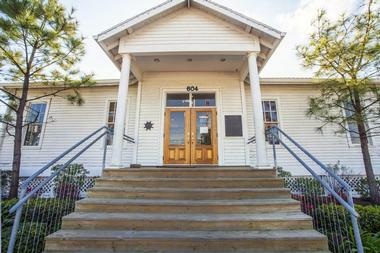 The city also has many cultural attractions, which include the Museum of the Gulf Coast and the famous Faith Trail, along which several monuments to different religions are located. Among them are a shrine to Our Lady of Guadalupe, a Vietnamese Catholic Church, and the Buu Mon Buddhist Temple & Lotus Gardens. Keep reading for more road trips from Houston. Anahuac National Wildlife Refuge is a unique wildlife conservation area that consists of 34,000 acres of prairie and coastal marsh territory along the coast of Texas. The refuge, which was established in 1963, is supported largely by volunteers, who protect the area’s diverse wildlife so that it can be enjoyed and appreciated by visitors. Those who come to Anahuac will find such species as alligators, fulvous whistling ducks, seaside sparrows, and even bobcats, whose environment is cared for all year round. Popular activities here include birdwatching, paddling, hiking, and photography. Rangers are available to lead tours as well as environmental education classes and seminars. Village Creek State Park is a relaxing, family-friendly state park located just an hour-and-a-half outside Houston in Lumberton, Texas. The park lies alongside its namesake, Village Creek, which provides the ideal setting for a day out in the sun. The creek is equipped for swimming, hiking, geocaching, and canoeing, among other outdoor activities. Fishing equipment can be rented for free here, and fishing is permitted along the creek without a license. 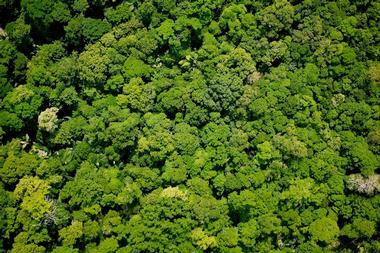 The park has a mix of natural habitats, including wetlands, swamps, pinewood forests, and pine savannahs. 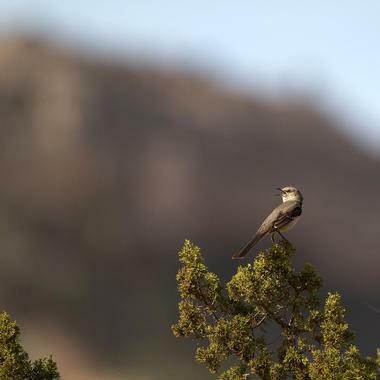 With different species making their homes in each of these areas, the park is also an excellent spot for birdwatching and wildlife observation. Goose Island State Park is a Texas state park surrounded by the St. Charles and Aransas Bays on the Gulf coast of the state. Although it is encircled by water, the park’s authorities do not recommend swimming here. Still, there is plenty to enjoy, such as camping, hiking, and fishing for flounder, speckled trout, and red drum, among other varieties of fish. Perhaps the most popular highlight of Goose Island State Park is the Big Tree, a beloved Southern live oak. With a circumference of 35 feet and a crown spreading 90 feet outward, the Big Tree is believed to be over 1,000 years old. 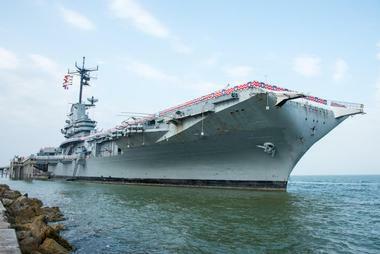 The USS Lexington is a combination ship-museum that shows off the USS Lexington, CV-16, a World War II-era US aircraft carrier. The museum of the “Blue Ghost”, as the Lexington is fondly referred to, was established in 1992 shortly after the ship’s decommissioning. 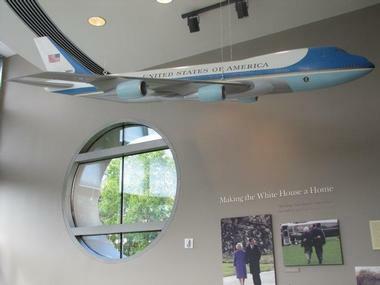 One of the museum’s stated goals is to educate the public about the role of naval aircraft in the defense of the country, and its many exhibits have a direct connection to this mission. In addition to touring the eleven decks of the Lexington itself, guests can try out flight simulators and virtual battle stations. An exhibit dedicated to Pearl Harbor adds a dose of history to the museum. The Texas State Aquarium in Corpus Christi is a private conservation organization and aquarium facility dedicated to protecting marine wildlife in the Gulf of Mexico and the Caribbean Sea. The aquarium’s numerous exhibits feature dolphins, jellyfish, stingrays, crabs, urchins, and a host of fish. However, its displays are not limited exclusively to water dwellers. Mustang Island State Park is a Texas state park stretching along five miles of gulf coastline. The long swaths of sand and lapping waves of the gulf create the perfect backdrop for a day of beachside fun. There are many activities to take part in, including outdoor favorites like mountain biking, hiking, fishing, and picnicking. 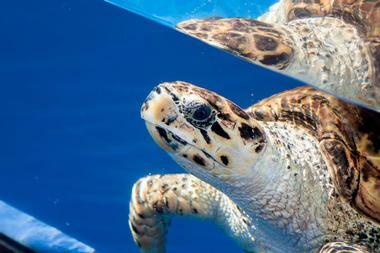 The park’s natural scenery includes interesting sand dunes, more than 400 species of birds, and Atlantic green sea turtles, plus 600 different types of fish roaming the waters of the bay. The best views of all this and more can be found along the Mustang Island State Park Paddling Trail, which traverses 20 miles of shallow waters. 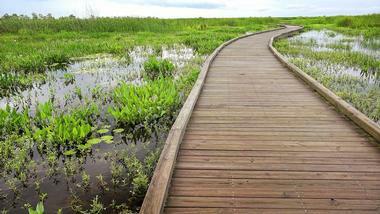 The Creole Nature Trail consists of 180 miles of roadway running through the outback of the state of Louisiana. This route is known for its scenic views and crosses several nature reserves. Among the animals living along the trail are 400 types of birds, alligators, and tons of fish and shellfish in the nearby waters. A good place to begin a trip on this route is at Creole Nature Trail Adventure Point, a free exhibit that shows off Louisiana’s natural splendor and Cajun roots. This center has mainly interactive displays, making it both interesting for the kids and an informative start to an adventure through Louisiana. One of Texas’s most famous features is its long history as an oil-producing state, and the Texas Energy Museum tells this story in a manner that is interesting for children and adults alike. 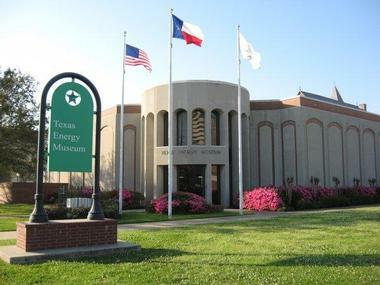 Located in downtown Beaumont, Texas, this museum discusses the development of petroleum refinery technology and the modern use of chemistry in this industry. A set of friendly robot “actors” shares the tale of the 1901 Spindletop gusher, the first significant gusher of the Texas Oil Boom. In addition to its permanent collection, the museum also hosts children’s group educational programs and seasonal presentations about Texas’s oil-rich history. A visit to Brenham, Texas, provides a breath of fresh air after time in the big city of Houston. This small city is located in Washington County, which itself is found in a lush area with an abundance of bluebonnet fields. The area has a number of indoor and outdoor attractions. A series of museums tell the story of old Texas, while the area’s wine trail winds among several regional vineyards. Brenham also boasts a number of outdoor park spaces and several spas for a relaxing day in this quaint town. And the local Blue Bell Ice Cream creamery is not to be missed, as tours here show off how Texas’s favorite ice cream is prepared. 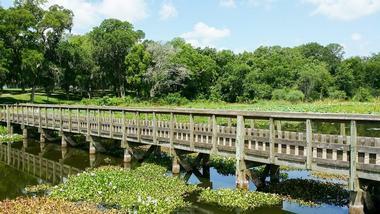 Unlike many other state parks in the area around Houston, Brazos Bend is not a beachfront stretch of land. Still, there is much to see here, especially for nature lovers. Located only a short 50-minute drive from the city, this state park has several trails that allow visitors to take in the sights and sounds of the Texas wetlands. The Creekfield Lake Nature Trail is a completely paved trail with viewing platforms and educational resources such as bronzes of the park’s most famous animal residents. This trail is a short half-mile long, but several other biking, hiking, and horseback riding routes provide a deeper look at the wetlands—and the chance to meet some alligators. 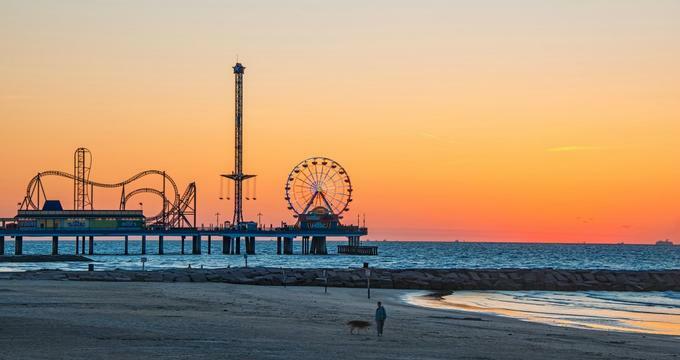 Known as the “Gateway to the Bay”, the city of Kemah is located along Galveston Bay and is most attractive to visitors for this very reason. The city has an entire entertainment district full of bayside restaurants and attractions geared towards tourists. Most notably, Kemah has a large boardwalk right on the bay with plenty of rides and other amusement park fun. As one might expect, the boardwalk has classic arcade games, restaurants, shopping, and thrill rides, many of which overlook the water. Beyond the boardwalk, the city also offers carriage and boat rides and a spooky excursion through its haunted lighthouse district. The Stark Museum of Art is located outside Houston in Orange, Texas. 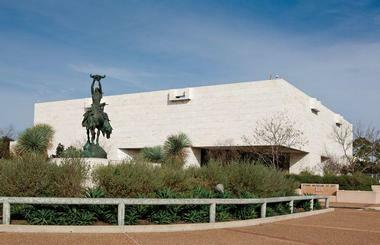 Founded in 1978, the museum is home to one of the most comprehensive collections of American Western art in the United States. The Stark Museum is vastly diverse in its offerings; although its collections do include famous works in well-known media such as paintings by Georgia O’Keefe, they also incorporate applied arts and focus on Southwestern indigenous cultures. The museum also has a large set of glass and porcelain works, including Steuben Glass’s United States in Crystal. The permanent exhibition is supplemented by rotating exhibits, special lectures, and educational programs. 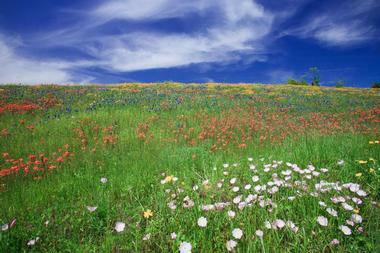 Sam Houston National Forest is one of Texas’s four national forests. Sam Houston covers a massive landmass of 163,037 acres of forest land, and it contains many different species of flora and fauna to be enjoyed by visitors and locals. The forest is packed with hiking trails and camping, boating, fishing, hunting, off-roading, and horseback riding are also allowed here. The management supports these activities with a number of shelters, pavilions, and other facilities. 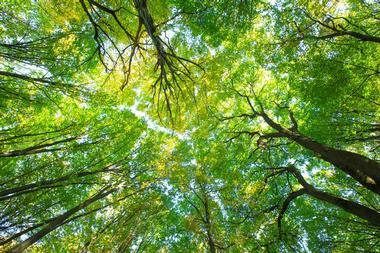 The forest also protects a number of important bird species, including the endangered red-cockaded woodpecker, and provides a winter habitat for the national bird of the United States, the bald eagle. Space Center Houston is a fun, interactive museum designed to educate the public about space travel. Created with help from the Disney Imagineering team, its exhibits are all hands-on and give visitors a real sense of what it is like to spend some time out in the cosmos. Guests can take an outdoor tram tour around the Saturn V rocket, meet real astronauts on the premises, and even see actual NASA mission control facilities. 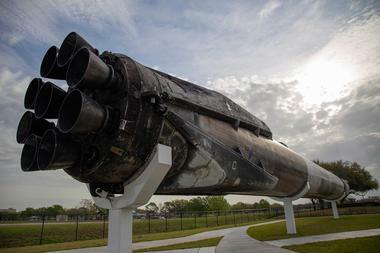 The museum has over 400 exhibits, all of which draw on real-life NASA equipment and training. This is the place to visit for a true astronaut experience. George Bush Park is a county park located within the city limits of Houston, Texas. This territory is the site of the Buffalo Bayou, a man-made bayou that creates an important watershed for the city. George Bush Park has several soccer and baseball fields, jogging and hiking trails, and fields for flying model airplanes. Other popular activities here include geocaching and shooting at the on-site range. Visitors can cross the bayou’s water on “the Boardwalk”, a long wooden plank bridge, or enjoy an outdoor picnic in one of the park’s convenient pavilions. The extensive park includes several natural habitats, such as swampland, bayou, and forest. 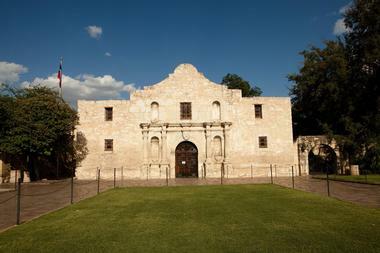 There are few people who are unfamiliar with the famous cry, “Remember the Alamo”. These infamous words are a reminder not to forget the battle that took place at this site during the Texas Revolution. Originally built as a mission, this building took on significance because of the massacre that occurred here in 1836, when the Mexican army killed all the soldiers in the small Texan outfit that was defending the area. The George Bush Presidential Library and Museum is situated on the campus of Texas A&M University in College Station, Texas . This presidential library commemorates the life and work of 41st President of the United States George Herbert Walker Bush. It contains over 44 million pages of archives related to President Bush, and its permanent museum collections tell the store of his ascendance to the Oval Office and tenure in the White House. The museum also hosts a rotating lineup of temporary exhibits and sponsors lectures and special events with the goal of educating the public about civics and the democratic process. SeaWorld San Antonio is the largest park in the SeaWorld chain and the most expansive marine-themed park in the world, covering 250 acres. 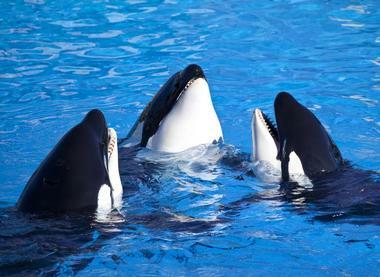 In addition to SeaWorld’s world-famous orca, dolphin, and sea lion shows, the San Antonio location also has a number of amusement park-style rides as well as several aquarium and zoo environments. 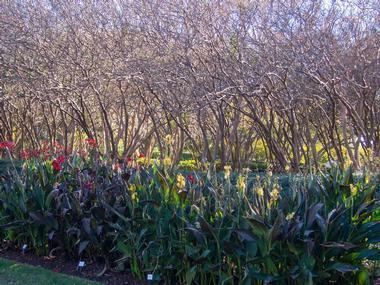 The Dallas Arboretum and Botanical Gardens consists of 66 acres of botanical gardens in the East Dallas neighborhood of Dallas, Texas. The gardens lie on the shores of White Rock Lake and offer beautiful views of both the water and the Dallas skyline. The main building of the arboretum is the DeGolyer home, which was built in the Spanish Colonial architectural style and is a state and national landmark. Here one can find several different flower and plant gardens, as well as examples of sophisticated landscape architecture. The “Texas Pioneer Adventure” at the gardens is a kid-friendly series of sculptures depicting early life on the prairie. Battleship Texas, just half an hour from Houston by car, is a historic battleship that sits in the Houston Ship Channel and welcomes guests to explore its decks. 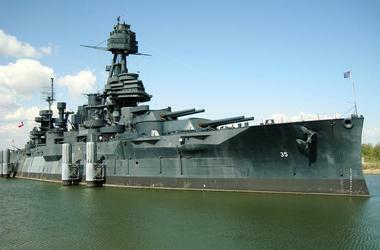 The battleship was active during both World War I and World War II and took part in several important battles. Depending on their preferences, individuals can choose independent or guided tours that focus on a variety of different aspects of the ship. Located nearby is the San Jacinto Battleground State Historic Site, where one can learn about the battle that took place here or enjoy a stroll or picnic out in the open air.